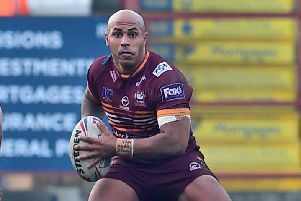 Batley Bulldogs coach Matt Diskin believes this season’s Betfred Championship will be one of the toughest competitions yet. Diskin saw his Bulldogs side edged out 14-12 by Bradford Bulls in a cracking Yorkshire Cup Final last Sunday and now switches his attentions to the opening Championship game at home to Barrow on February 3. Diskin has been delighted with the way his squad have worked in pre-season and will give his players this weekend off before returning on Monday to begin preparations for Barrow. Diskin said: “We have shown we are in a really good position for the season. “It will be one of the toughest Championship seasons yet and we were against a full-time Bradford team who’ve got the luxury of more staff on the sidelines than we have players on the field. Diskin believes there are still areas for his side to work on and admits he already knows who will be selected for the opening Championship game. Diskin added: “We are missing too many scoring opportunities and against the better sides you can’t afford to do that. “That’s the biggest area out of the Yorkshire Cup, but the rest of it I am happy with where we’re at. “Picking 17 (players) will be easier because having to manage seven subs is hard, trying to get everyone equal game time as well as competing to win a trophy.